I never slept better in the middle of New York City. 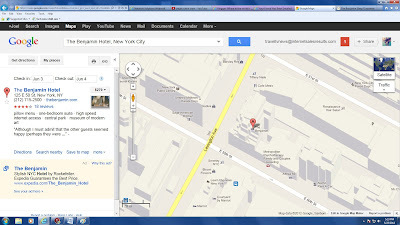 I stayed at The Benjamin Hotel at 50th and Lexington on this trip to Manhattan. 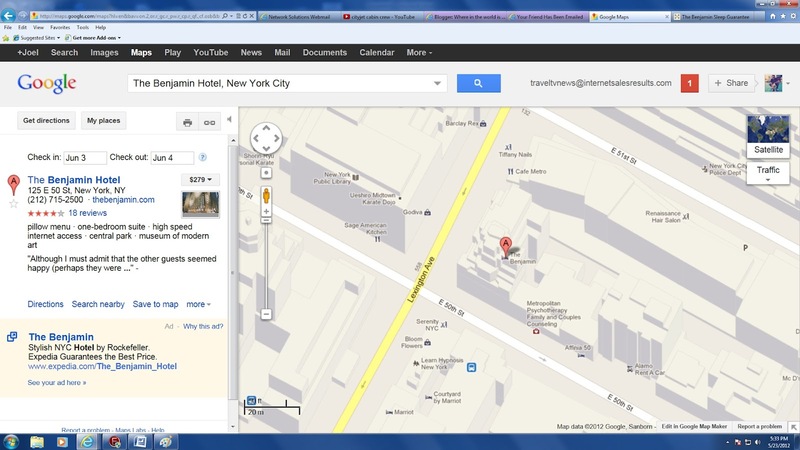 If you have traveled to New York City, you know hotels are expensive all the time. 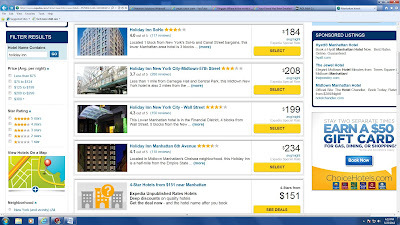 There are no deals in New York City, unless you stay at the Holiday Inn and even the Holiday Inn is over $200 per night. 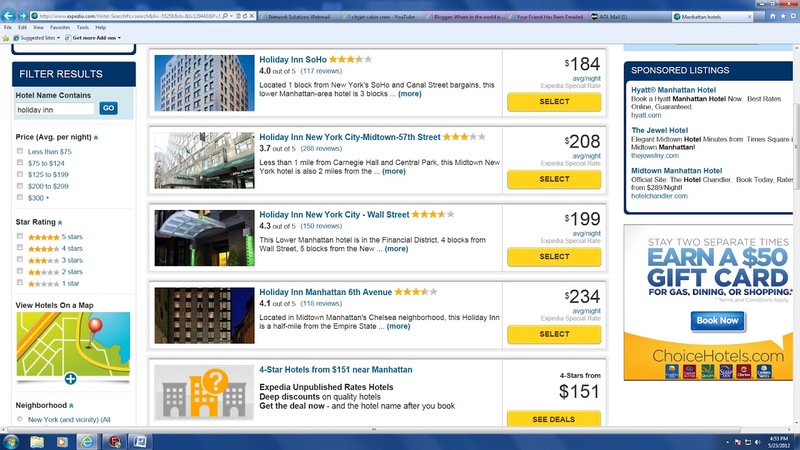 During holidays, hotels in New York City can cost upwards of $400 per night. Most of you have probably not heard of The Benjamin. It is a boutique hotel, right near Park and Madison Avenues, in one of the best shopping and eating neighborhoods of New York City. Here's a map to show you where it is. There is a subway stop right around the corner and it's about a 10 minute walk to the East Side where you can walk around the United Nations and see where many of the foreign consulates are located. If you walk east all the way to the East River, you will stroll though a beautiful neighborhood called, Beekman Place. If you walk all the way to the end of 50th Street, you will see the East River and the Consulate General of Luxemburg's townhouse. Look on the wall and you will see a sign that says that Irving Berlin lived there for 40 years. I chose The Benjamin because I saw a "deal" they were offering. Yes, the Benjamin was offering an incredible deal, in my opinion. They were selling suites for $275 per night. It was a special promotion going on in May for just seven days. They even offered an upgrade to a deluxe suite for an addition $8 per night if it was available at check-in. We got the upgrade and got something that very, very few hotels in New York City offer their guests. We had our own terrace. Our room was on the 26th Floor. There are only two suites on this floor and ours had a large terrace with a table and chairs. The weather in New York was fantastic, as Spring usually is, and we spent evenings drinking wine outside and mornings having breakfast outdoors. The room was large. We had a living room, a small kitchen and a large bedroom. This room is large enough for four people. Two can sleep in the bedroom and they offer cots for additional guests who want to sleep in the living room. You will see me explain their pillow menu and sleep concierge. Take a look at their web site here to read more about it. The Benjamin Hotel I have stayed at many great hotels in New York City and I think The Benjamin is a part of that group. I hope The Benjamin offers more great deals like the one I took advantage of. If you stay at The Benjamin, let them know that Travel News & Deals recommended them. 1) Take the subway to Grand Central Station and have champagne and dessert at night while you watch commuters pass by. When I was a kid, my father told me that he would often meet my mother under the clock at Grand Central. That was 50 years ago. It is still a great meeting point. Grand Central has several restaurants below the station and one floor above the main concourse. You can go to most of these restaurants and bars until late into the night. My girlfriend and I bought a Napoleon at one of the little shops on the main concourse and then we sat at one of the bars overlooking the main concourse and drank champagne as we ate our dessert. Below is a photo we took as we kissed under the clock on the main concourse. 2) Walk east towards the East River and United Nations. You are only a few blocks from the East Side where you can see where many foreign dignitaries work and live when they are in New York. 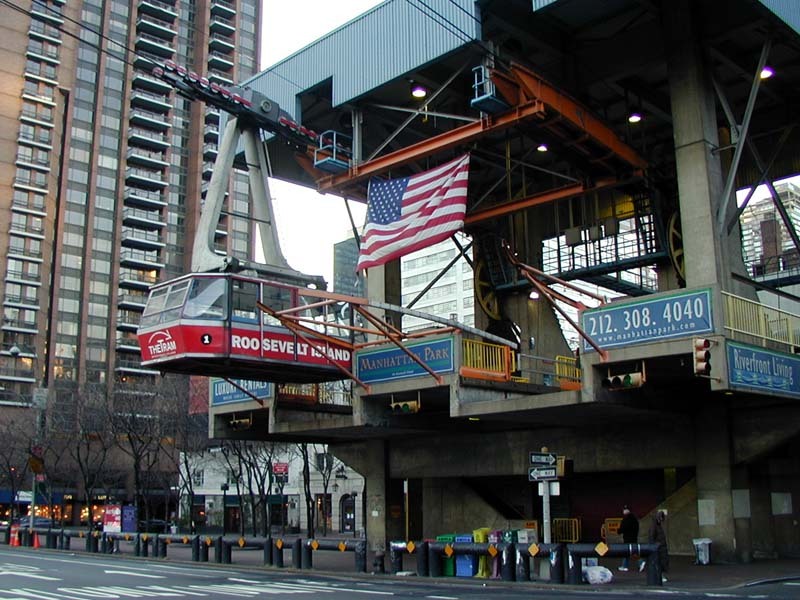 4) Take the tram across the East River to Roosevelt Island. It is the only tram in New York City and it will give you a fantastic view of the skyline as you head east to the midway point of the East River and the small island that used to have a prison and mental hospital. Now, many New Yorkers pay a lot of money to live there. 5) Find a friend who is a member of the Metropolitan Museum of Art and go on a Monday when the museum is closed to the public and only open to members. They serve juice, coffee and milk and cookies to visitors on Monday. I think my best night of sleep was in one of those boutique hotels NYC. I think it was called the Soho Grand?